Time for a Major Love Offensive! I’m in Bali leading a writing retreat right now, so it’s been strange to navigate this polarizing election from another country, where I am surrounded by not only native Indonesians but by ex-pats from all over the world. Given that the U.S. is supposedly the most powerful country on the planet, this election is not just about the United States. It touches everyone, and the shock waves of this divisive election are rippling all the way over here to Bali. Last week, as I was processing my emotions about the election, I was emailing with my friend and love revolution ally Charles Eisenstein. Charles wrote back with an email that I found so hopeful. “Things are going to speed up … time for a major love offensive!” I felt my whole body relax. YES! Things are going to speed up! Time for a major love offensive! This is not a time to separate into “us” and “them.” We are all equal cells in the human body. We are all motes of consciousness joining together as drops into an ocean on this Planet Earth. I see this election result as a desperate collective plea for truth and reconciliation. Rather than dividing and hating on one another, we must humble ourselves before each other and ask, “Tell me what hurts.” We must generously listen, heart to heart, soul to soul. We must be willing to apologize and make amends. We must create a world where both sides can be heard and creative solutions can be intuited, from the heart. This doesn’t mean we should employ some spiritual bypass, skipping the painful emotions elicited by this divisive election campaign. It hurts to think that we may be entering an era of backwards movement around civil rights for women, minorities, and the LGBT community. It hurts to think about the plight of the indigenous people in my country. It hurts to feel into my immigrant brothers and sisters, who share my country or who yearn to share it because they are fleeing terror. I realized this as I walked with my feet in the sea in Canggu — I felt grief and terror and rage and panic. Lying on the sand, I let my emotions wash through me as the ocean washed over me, allowing my body to move, giving myself permission to release the charge I felt. After that purification process, I felt my heart open. I still feel very tender, but I feel more at peace. We cannot skip this process of acknowledging and releasing our feelings. So, feel what you feel, but don’t let your feelings separate you from your fellow global citizens. Don’t give up on love, dear ones. It’s so easy to get righteous in times like this, to claim that we know better than someone else or that someone else is more ignorant, but righteousness is just another tool of separation. Let us instead be curious about one another. Let’s ask each other, “What hurts?” and be genuinely curious. All over the world, people are hurting, and this pain is causing people to flock into the story of separation. Hurting people are fleeing into gangs, terrorist organizations, and other polarizing “us” versus “them” tribes. We so deeply yearn to belong that we will do ANYTHING to feel safe, comforted, and accepted in a community. Can we blame them? When you feel helpless, disempowered and ignored, isn’t it natural to crave belonging? As I said in my latest TEDx talk about loneliness as a public health issue, our yearning to belong is not only creating health crises, it is a global crisis that affects all people and all of Gaia. Let us break our hearts open, beloveds. If we participate in the story of separation, we only make it worse. Now is the time for a major love offensive, and it starts with you. We need to come together now. This is when the revolution of love ramps up tenfold and those who are here on this planet to serve love need to step into their callings without hesitation or reservation. You are being called, and it’s time to say YES. The time of polarity, the time for the story of separation, ends now. We must come together, to be allies, to serve peace. “The old world falls apart, but the new has not emerged. Everything that once seemed permanent and real is revealed as a kind of hallucination. You don’t know what to think, what to do; you don’t know what anything means anymore. The life trajectory you had plotted out seems absurd, and you can’t imagine another one. Everything is uncertain. Your time frame shrinks from years to this month, this week, today, maybe even to the present moment. Without the mirages of order that once seemed to protect you and filter reality, you feel naked and vulnerable, but also a kind of freedom. Possibilities that didn’t even exist in the old story lie before you, even if you have no idea how to get there. The challenge in our culture is to allow yourself to be in that space, to trust that the next story will emerge when the time in between has ended, and that you will recognize it. Our culture wants us to move on, to do. The old story we leave behind, which is usually part of the consensus Story of the People, releases us with great reluctance. Yes. We are in the space between stories, so let us be here together, with love. When we don’t know what to do, let us sit with the discomfort we feel rather than rushing to just do something. Let us hold each other lovingly through the discomfort. We don’t know how to launch this major love offensive, so let us humble ourselves in the face of our not-knowing and pray for help. Let us surrender our fear, grief, anger, and resistance to Divine Will and know that whatever is in the highest good shall come into being with ease and grace. Let us surrender our desire for unity and admit that we don’t know how to get there. Let us be humble in the face of the mystery of Divine Will. We cannot ever know for sure what this is, so we can only open our hearts and ask “What would love do?” — one present moment at a time. We can trust that we will be shown and that the movement of love will guide us, one heartbeat at a time. Let us never lose hope. Let us breathe in the words of Vaclav as we enter a new world today. May we all come together in this time of uncertainty — uniting our collective heartbeat into one great Om … Om shanti shanti shanti. Peace peace peace. Lissa blogs at LissaRankin.com and created the online community HealHealthCareNow.com. 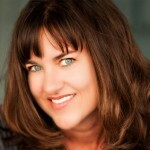 She is also the author of several other books, a speaker, a professional artist, an amateur ski bum, and an avid hiker. She lives in the San Francisco Bay area. Connect with Lissa on Facebook and Twitter, or visit LissaRankin.com. The new book by Lissa Rankin, MD. We are all on a mission to step into our true nature and fulfill the assignment our souls were sent to Earth to fulfill. In The Anatomy of a Calling, Lissa describes her entire spiritual journey for the first time — beginning with what she calls her “perfect storm” of events — and recounts the many transformative experiences that led to a profound awakening of her soul. Through her father’s death, her daughter’s birth, career victories and failures, and an ongoing struggle to identify as both a doctor and a healer, Lissa discovers a powerful self-awareness. 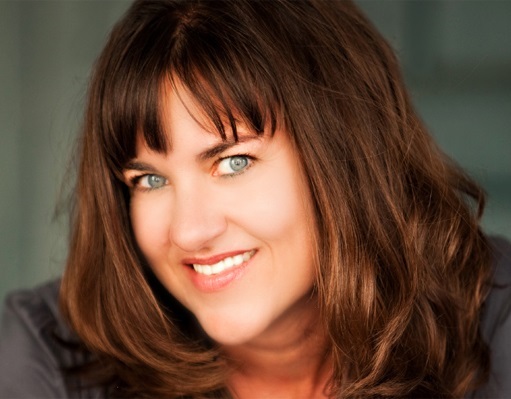 As she shares her story, she encourages you to find out where you are on your own journey, offering inspiring guideposts and practices along the way. With compelling lessons on trusting intuition, surrendering to love, and learning to see adversity as an opportunity for soul growth, The Anatomy of a Calling invites you to make a powerful shift in consciousness and reach your highest destiny. 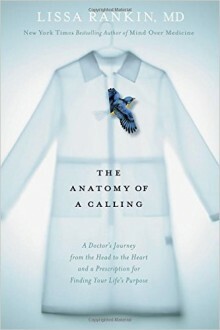 Lissa Rankin’s book “The Anatomy of a Calling” is available here. Next Who Should We Blame for the Rise of Donald Trump? No One.